This online Vehicle Mounted Aerial Lift (Bucket Truck) course covers the anatomy of the machine, set up, safe operation principles, pre-shift inspections, stability and hazard awareness. Upon successful completion of this online course, a certificate of completion will be available to download and print. Testing conducted in this Vehicle Mounted Aerial Lift (Bucket Truck) online course is designed to reinforce the information presented. A mark of 80% must be achieved to receive a certificate of completion. You are able to repeat the course two additional times if the pass mark of 80% is not achieved. 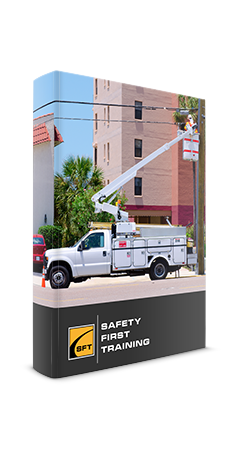 Vehicle Mounted Aerial Lift (Bucket Truck), boom supported aerial platforms, cherry pickers or bucket trucks are generally used to access power lines lines and other at height job sites. The major causes of fatalities when using aerial lifts are falls, electrocutions, collapses or tip-overs. Employers must always ensure the safe use of aerial lifts by their workers by having everyone professionally trained in the use of this equipment. 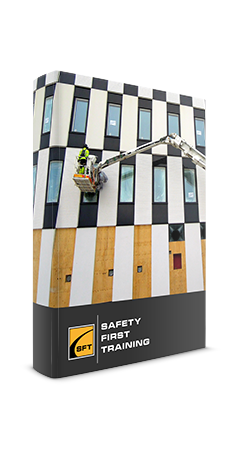 Ensure that all operators of aerial lifts are professional trained in the safe use of the machine. Operate and service the machine according to the manufacturer’s guidelines. Never bypass mechanical, hydraulic or electrical safety devices. Never move the equipment when workers are inside an elevated platform. 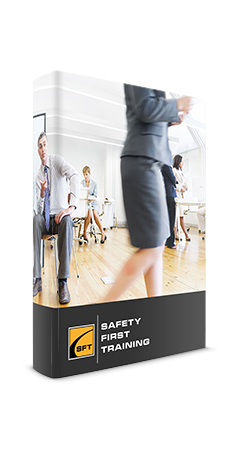 Never allow workers to be positioned between overhead hazards and the rails of the basket. Always maintain a minimum distance of at least 3 meters from the nearest energized overhead lines. Always assume power lines, wires and other conductors are energized, even if they appear to be down or insulated. Use fall arrest equipment with a lanyard attached to the boom or basket to prevent falling accidents. Set the brakes and wheel chocks when parked. Never exceed the load limits of the machine. Always allow for the combined weight of the workers, tools and materials.